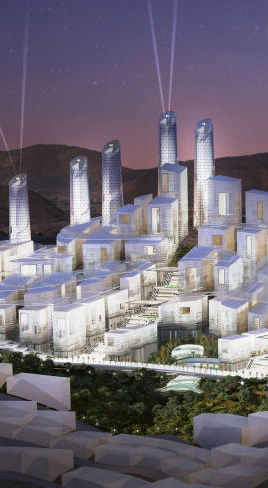 Contracts have been signed for a major new urban design scheme in Makkah, Saudi Arabia. White Sky Group | Gewers & Pudewill finalised contracts with AlFayadh Consultants and Jadwa Investment (both Riyadh-based firms) for a 91 hectare development and masterplanning project. White Sky Group | Gewers & Pudewill is a Berlin-based company which was formed specifically for this scheme, placing first in a fierce competition for the project in which Foster + Partners was a contender. Feasibilty studies have already been carried out and the development is expected to comprise 3 million sq m of prime mixed-use building space. Across this immense square footage will be a series of hotels, residences, shopping malls, technical and medical infrastructure and generous prayer spaces, dotted with open parks and courtyards. Threads of sustainability and new technologies in mobility will run throughout and the development will undulate between middle- and high-rise structures.